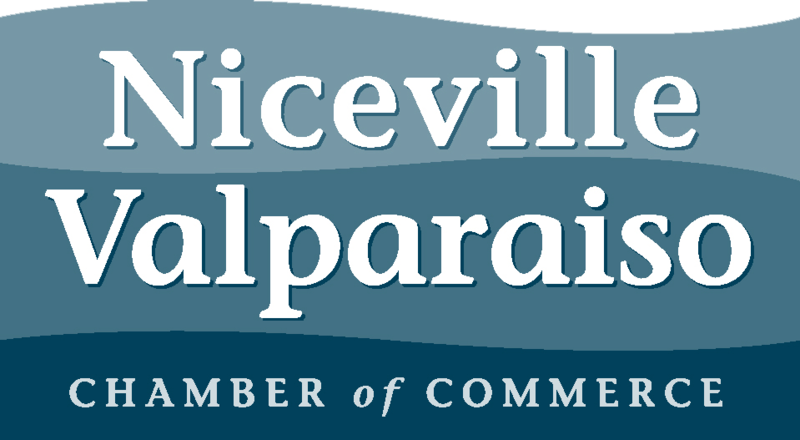 The mission of the Niceville Valparaiso Chamber of Commerce Civic Hall of Fame is to honor and recognize citizens of the Niceville Valparaiso area who have made broad and lasting contributions to the betterment of the community. By recognizing these individuals and portraying them as role models, the Hall of Fame will stimulate an interest in and an appreciation for the value of the history of this community, and encourage the significance of community service on the part of others. Click here for online submission. It is recommended to save your submission in a Word Document prior to uploading on the website to avoid lost progress. Nancy Myers Grigsby, nominated by Dr. Jeff Waits with help from her husband Bill Grigsby, Dr. Christopher Reid and Jerry Haag, was born in Florence, Alabama on June 25, 1958. Nancy married her husband, Bill Grigsby in 1985 and that year they moved to Niceville, where she immediately immersed herself in the community. By all accounts Nancy Myers Grigsby embodied the definition of a servant’s heart and she went about life with grace, humor and strength. She was Miss Sheffield High and Mississippi College Homecoming Queen. She was also featured on the Channel 3 News segment “Angel in our Midst” and in the Northwest Florida Daily News “People who make a difference” column. 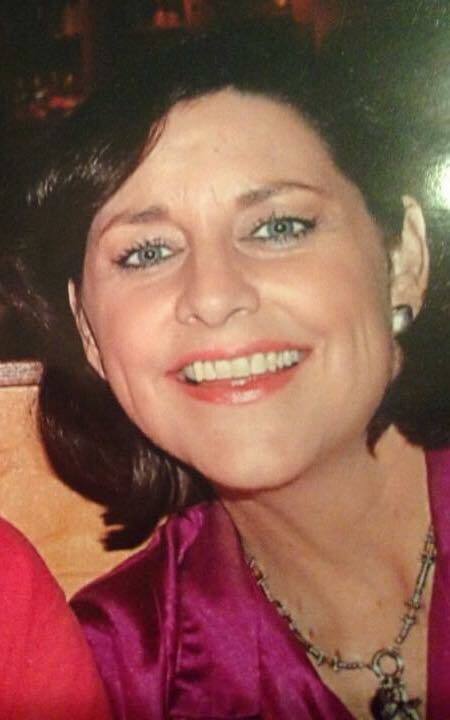 She is a member of the Okaloosa County Wall of Honor for Women. Nancy worked as a medical social worker and patient educator at Fresenius Medical Care where her patients and co-workers were part of her extended family. There she started and maintained one of the longest running Kidney Disease Support Groups in the state. She was a constant provider of hope, comfort, prayers and emotional and spiritual support. Nancy was often seen at Plew Elementary reading to children; in fact, there she received the nickname “Fancy Nancy” after the beloved children’s book. She also participated in Relay For Life, various Cancer Support Groups, served on the Sacred Heart Foundation Board, assisted with Ronald McDonald House Fundraisers, was a member of Impact 100 and so much more. Two of her passions in life were First Baptist Church of Niceville and The Florida Baptist Children's Homes. 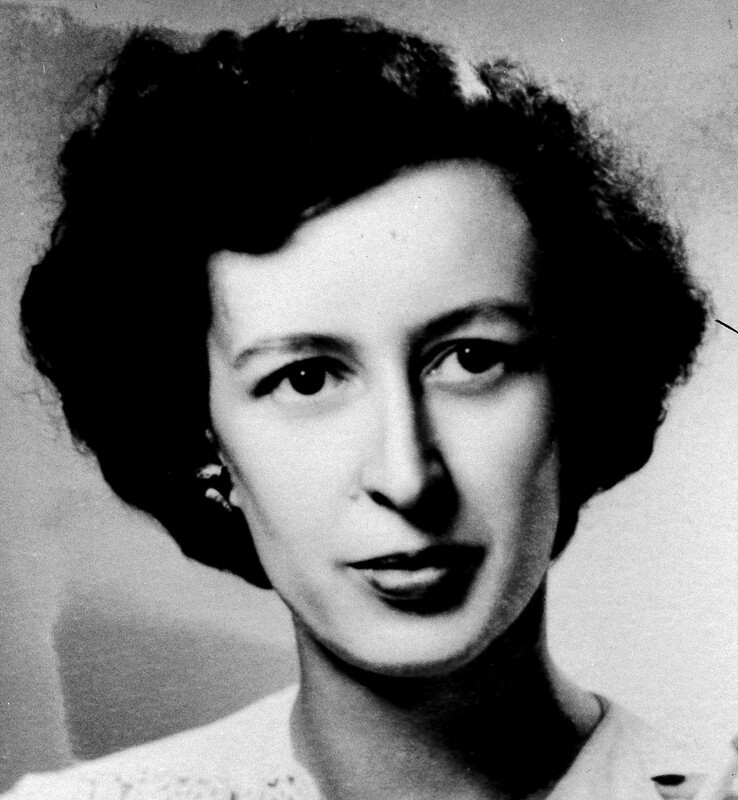 She was part of the fabric of her church and taught various classes and Bible studies the entire 31 years she attended, 20 of which she served on the Church Board. Nancy led numerous mission trips to Guatemala where she worked in a Children's Malnutrition Center, even after she was diagnosed with stage 4 Colon Cancer. Nancy’s leadership in the Florida Baptist Children's Homes impacted thousands of children and families in crisis in the panhandle, across the state and the world. She challenged the board and staff to make strategic plans to implement programs for foster care, child hunger, single moms, and anti-trafficking and many others. Nancy was giving, compassionate and merciful. If there was a need Nancy would fill it. Not only was she generous with her time as a volunteer, she also found countless local families a place to rest their heads, connected them to needed social services, and when help could not be found she pulled money from her own pocket. Walker Vester Spence, nominated by daughter Freida Spence, S&R Properties, Inc. and family, was born on September 14, 1908, in the family home overlooking Boggy Bayou now known as Spence Circle in Niceville. The son of Sylvester and Mary Spence, Walker grew up playing and fishing in the bayou. Walker completed school up until the 8th Grade but at that time there was no high school. He went back to school at age 18 when Niceville High School was built and was part of the first graduating class in 1930. He also worked in the family’s sawmill known as Bayou Lumber Company. In 1933, he married Lola Hart of Dorcas, Florida who was a loving and supportive spouse. Lola and Walker were two of the original 333 individuals who signed the Niceville charter in 1937, officially incorporating Niceville as a city. Walker began his forestry career as a forest fire fighter and towerman in the Choctawhatchee National Forest. The forest was established by President Theodore Roosevelt in 1908 and in 1940, over 340,000 acres of the forest were transferred to the War Department and subsequently to the US Department of the Air Force and is known today as the Eglin Reservation. In 1960, Eglin’s conservation program, under Walker’s leadership, received the first ever Gen. Thomas D. White Fish and Wildlife Conservation Award, which they have received several times since. Walker remained in the forest industry for 35 years, retiring as Chief of Natural Resources of the Eglin Air Force Base Reservation in 1966. For several years part of his job was to oversee the government-owned sawmill located on the Reservation. Walker Spence was also responsible for planting millions of pine trees and for maintaining and stocking more than 25 fishing ponds on the Eglin Reservation. Today the reservation provides recreational activities for thousands of people each year to enjoy hunting, fishing, camping, picnicking, canoeing and hiking. In the late 1950’s, Col. Fred Gannon, Director of Civil Engineering at Eglin had a dream of turning the land along the shores of Rocky Bayou into a park. Walker and his team were instrumental in the design and development of the park, today known as the Fred Gannon Rocky Bayou State Park. During World War II, Eglin grew into a major area employer. The population of Niceville in 1940 census was only 948 residents but grew to 2,497 by the 1950’s census, an impressive 160% growth-the largest in Niceville’s history. With the explosion of growth, Walker and Lola saw a need for affordable housing for young couples coming to Eglin. In the late 1940’s they began building small and affordable starter homes, Walker himself doing most of the carpentry work and landscaping. Walker opened Gulf Coast Building and Supply in Valparaiso with his brothers in the 1940’s and a full-service gas station on John Sims Parkway in the 1950’s. In the 1960’s, along with his brothers and several community leaders they chartered the Okaloosa National Bank, the first bank in Niceville. Prior to the bank opening residents had to travel to DeFuniak Springs to do their banking. Later the bank name changed to the First National Bank of Niceville and Walker served as Director and was often seen maintaining the beautiful grounds on the weekend. The Bank was later sold and the building currently houses the office of the Okaloosa County Tax Collector. 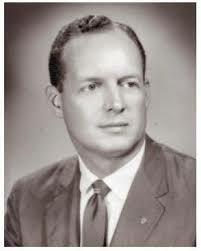 Walker Spence also served as Mayor of Niceville from 1967-1971. 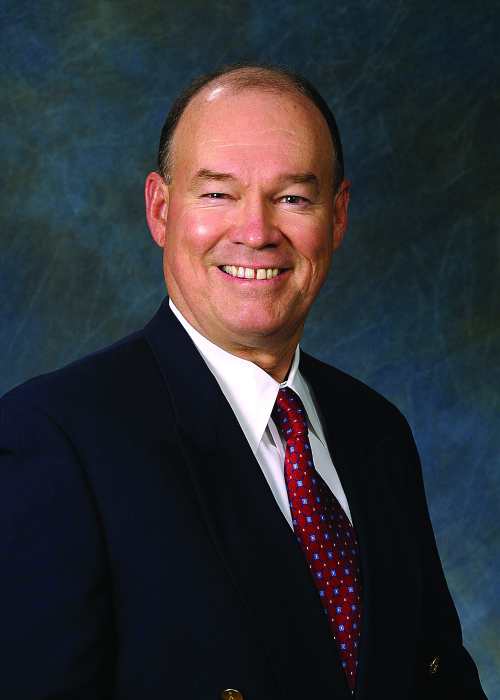 City Manager Lannie Corbin described Walker Spence as a wise advisor in his early career as City Manager. Walker was very civic minded. He was a charter member of the Niceville-Valparaiso Kiwanis Club. He served on their Board of Directors, as President and was awarded Life Member Status. 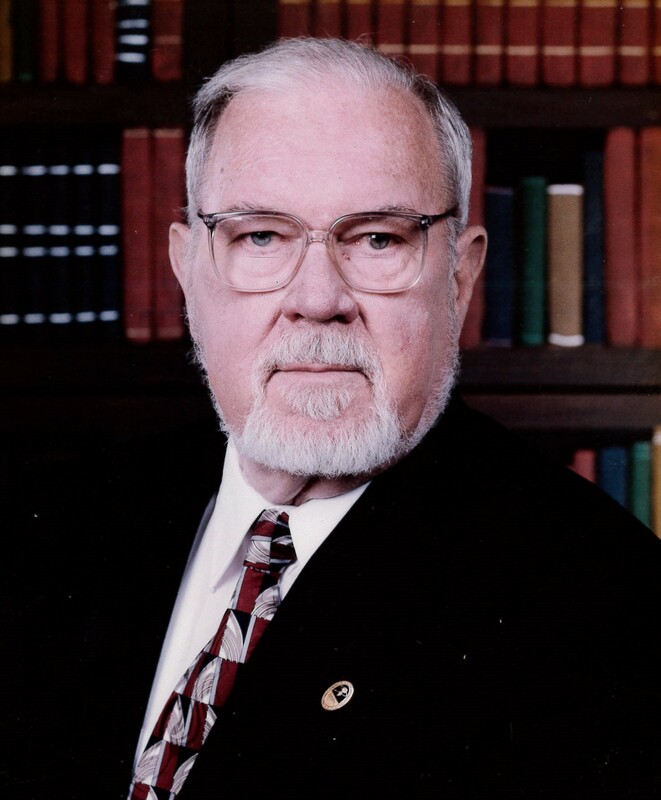 He also served on the Okaloosa County Council on Aging, the United Way Board of Directors, and was a dedicated Masonic Lodge and Chamber member. He was a visionary who believed strongly that the College should be located in Niceville for easy access for everyone and was involved in the preliminary discussions for a bridge from Niceville to Destin. Walker Spence was a true community and family man, he loved this community and worked hard to ensure its continued prosperity and helped shape Niceville and Valparaiso into what it is today. Jessie Alma “Granny” Edge, nominated by David Edge and the Edge Family, was born in Opp, Alabama on March 7, 1900. She was born into an affluent family, took piano lessons and was raised to be a true southern belle. Funny story about how she got to Niceville, her father was an avid sportsman who owned several hunting and fishing lodges in Niceville where her family frequently vacationed. Here she fell in love with the postmaster’s son, Joe Edge, and even though Joe wasn’t the man her parents had in mind for her, she stood her ground and with the help of a friend who had the only car in town, she and Joe eloped. Life was hard for the 11 families living year-round in Niceville at that time. Granny Edge was considered an outsider at first with her sophisticated upbringing, but she was stubborn and determined to win-over the locals. She raised a large family with 9 children and they all worked hard. Her husband managed Meigs’ Fish House and later the ice house and also Niceville’s first garage. In that time there was little room for women in politics, but Granny Edge was not your average woman. She was strong, determined and most of all stubborn and often attended council meetings bringing refreshments along as an ice-breaker. In 1979, after the passing of her husband, Granny started to focus on community activism. 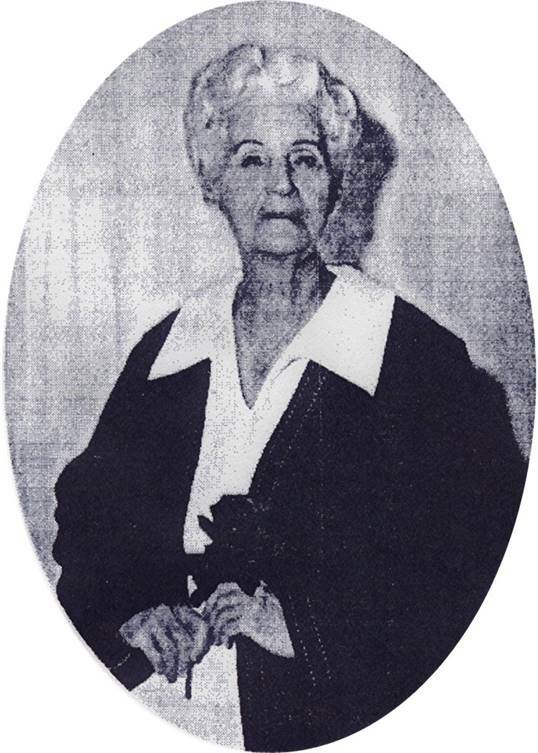 She became a delegate in the Florida Silver Haired Legislature. In 1983, Granny Edge was the first women to be elected to the Niceville City Council and the oldest person in the US ever to win a first bid for election at age 83. Her campaign slogan was “I love everybody. If you want to see something done, just come see Granny.” She retired from public office at age 92. Thanks to Granny Edge’s persistence we have the Twin Cities Pavilion Assisted Living Retirement Facility, still assisting those in need today. Over the years, Granny made a difference in the life of many and she considered all Niceville residents family. She called everyone “honey” and “child” because she laid claim on everyone. Granny Edge left this earth on February 11, 1998 and was laid to rest at the Rocky Memorial Cemetery. She was represented at the Hall of Fame induction ceremony by her youngest and last living son Gene Edge and her granddaughter, Debbie Edge Fossum. Lt. General Gordon “Gordy” Fornell, USAF Retired, nominated By Van Fuller, Mid-Bay Bridge Authority, is well known in Northwest Florida and is widely respected for the significant contributions he makes to the Niceville Valparaiso area. His vast military experience and knowledge is matched only by his credibility, influence, and ability to bring people together for a common good. Born in Chicago, Illinois, General Fornell earned a Bachelor of Science degree in mechanical engineering from Michigan State University in 1958 and a Master of Business Administration degree from the Wharton School, University of Pennsylvania, in 1978. While at Michigan State University he was a member of the 1957 Big Ten Conference championship swim team. General Fornell has a wide range of operational and test experience. He has flown over 50 types of aircraft, logged over 7,000 hours of fly time, wears parachute wings and is a Certified Level III program manager. He has received numerous decorations and awards including: Defense Distinguished Service Medal; Distinguished Service Medal Legion of Merit with oak leaf cluster; Distinguished Flying Cross with two oak leaf clusters; Meritorious Service Medal with oak leaf cluster; Air Medal with 11 oak leaf clusters; and the Air Force Commendation Medal. He also wears the Basic Parachutist and the Missile Crew Member Badges. General Fornell served in senior acquisition leadership positions in Air Force Systems Command and Air Force Materiel Command which included two commands; one as Commander, Armament Division at Eglin from 1985-1987 and second as Commander, Electronic Systems Center at Hanscom from 1988-1993. These organizations developed and acquired all non-nuclear munitions and communications, command and control, and intelligence systems for the Air Force. He retired in 1993 as a three-star general and after traveling to almost every corner of the world he settled with his wife, Barbara, in Bluewater Bay. He currently serves as Chairman of the Mid Bay Bridge Authority and the Air Force Armament Museum Foundation. He is also the Vice Chairman of the Fisher House of the Emerald Coast Board and serves as the Vice Commodore of the Eglin Yacht Club. He is an active member of Niceville Valparaiso Chamber of Commerce Military Affairs Committee, Emerald Coast Military Affairs Council, Enterprise Florida, Defense Support Initiative of the Okaloosa County Economic Development Council, University of West Florida President’s Council, a life-time member of the Air Force Association, and adviser to Florida’s Great Northwest. General Fornell has led 5 visits to Washington, DC advocating for military personnel, families and veterans in Northwest Florida. He is also the founder of the Gate-to-Gate Run at Eglin Air Force, a 33 year old Memorial Day Weekend tradition where runners place flowers at the Veterans’ Memorial along the route in honor of those who served. Mr. Earl C. Talbot, Sr., nominated by Steve Ruckel, was born on October 17, 1921 in Andalusia, Alabama and passed in February 2009. He served his country in World War II as a gunnery instructor. While serving as the Mayor of Crestview, he and several officials proposed bringing natural gas to the area. He was an influential leader and understood the great growth potential of Okaloosa County. He also recognized that growth needed to be fueled by a low cost energy solution and worked tirelessly to bring natural gas to the area. In 1953, the year Okaloosa Gas District was founded; Earl Sr. was named as General Manager. His dream became a reality in October 1955 when natural gas first flowed to the area. In 1957, he moved, with his wife, Tencie, and family, to Valparaiso where he enjoyed fishing on Tom’s Bayou, one of his favorite past times. He had three children Earl Jr., Dottie and Rhonda. Earl Sr.’s management abilities and knowledge were acknowledged nationally in the natural gas industry. In 1961 he was one of the founders of the Florida Natural Gas Association (FNGA), serving on the Board of Directors and on many key committees. He was the associations President in 1969. He received the FNGA’s W. J. Smith Distinguished Service Award in 1991 and was awarded an honorary lifetime membership. He also helped organize the United Municipal Distributors Group (UMDG). In 1988 he was awarded an honorary lifetime membership to the Southern Gas Association (SGA). He served on the Advisory Committee of the Gas Research Institute (GRI), today known as the Gas Technology Institute (GTI). 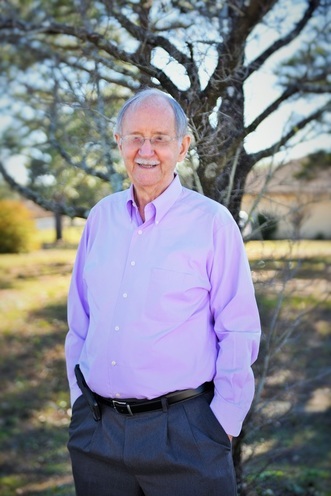 Earl Sr. served as President of the Niceville Valparaiso Chamber of Commerce in 1964 and served on the Board of Directors and Military Affairs Committee for many years. He was a member of the Board of Directors of the Committee of 100, Past President of the Niceville-Valparaiso Rotary Club, elder of the First Presbyterian Church of Niceville and an Eglin Honorary Commander. In 1986 he was named Rotarian of the Year. When Earl Sr. retired from Okaloosa Gas District in 1988, the District had grown to 100 employees and served over 43,000 customers. At that time it was one of the largest publicly owned gas utilities in Florida. After his retirement he stayed on as a management consultant with the district and enjoyed his retirement in Valparaiso. Today the District has over 160 employees. Mr. Raimund Herden, nominated by the partners and staff of Carr, Riggs & Ingram, LLC, was born in Westphalia, Germany. He was a child during the war and although having never completed any formal education, excelled after an apprenticeship at a small German bank and worked his way up to become a successful bank executive. After visiting the Niceville area in May 1975, he and a group of European investors purchased 1,500 acres of piney words, just east of Niceville, on January 2, 1976 for $5.3 million. Today, those woods are known as Bluewater Bay. He had a vision to create a world class residential resort community and has seen that dream come true over the past 41 years. He persevered through the ups and downs of the economy and even though it took a little longer than anticipated, completed Bluewater Bay. The result is a community with approximately 30 different neighborhoods in a wide variety of price ranges, more than 10,000 year-round residents and the addition of at least $75 million invested into the local community. He took his time developing the land and personally walked the property to preserve trees and create winding residential areas to showcase the natural beauty of the area, going to the extra expense to lay utilities underground and make sure there was abundant nature areas left undisturbed for residents and visitors to enjoy. The grand finale of Raimund’s vision came with the opening of Superior Residences of Bluewater Bay in 2015, a five-story, $19 million, upscale, resort style, independent retirement living community. Raimund is still working hard to ensure a secure future for the residential and business community of Bluewater Bay. Over the years he has become very involved with the community, supporting many local causes and becoming an advocate for local business and ensuring infrastructure is in place for development. He is a Chamber member, active volunteer for the Niceville/Valparaiso Rotary Club and he has achieved Paul Harris Fellow recognition for the past 30 years for his annual contributions of over $1,000. Raimund and his bride of 53 years, Margot, have three grown children Raimund Jr. an investment banker living in Germany, Katrin an interior designer living in Milan and Christina a local jewelry artist who lives in Bluewater Bay and assists with their development management. Rev. Dennis J. Brown, nominated by several members of the community, was born in Flint, Michigan on December 1, 1954 and recently passed on May 26, 2017. Dennis received his Bachelors of Music Education from the University of Southern Mississippi and his Masters of Church Music from New Orleans Baptist Theological Seminary. In 1987, he and his wife Leah moved to Niceville for a Music Minister position with the First Baptist Church of Niceville. He was devoted to his family, his church and his community. He was an active Chamber member, serving on the Niceville Valparaiso Chamber of Commerce Board of Directors, Education Committee, and Vice Chair of Membership. He served on the Baptist College of Florida Board of Trustees and volunteered in various roles at the school. He was on the Emerald Coast Fellowship of Baptist Churches Leadership Team and served on the City of Niceville Planning Commission. Dennis was passionate about music and spread his love for music throughout the community at every opportunity. He coordinated the local entertainment for Family Day at the Mullet Festival each year. He founded and coordinated the Caroling on the Bayou. He worked diligently with the local schools to provide the church venue and sound for various performances and ceremonies. He also started a School of Music at First Baptist Church of Niceville which has influenced hundreds of students in our community for almost 30 years. Dennis had a special way of being able to include and involve everyone wherever he went. He had fun and was a positive influence on people from all walks of life, treating each person with respect and love. He had a profound respect for our military members and their families, always recognizing the sacrifices they make for our country. Dr. David Goetsch, nominated by Dr. Sasha Jarrell, is a well-known and respected member of our community. His experience, contributions and awards range from military, education, business, management, public speaking, leadership training, volunteering, mentoring, church volunteering, economic development, writing, and much more. Dr. Goetsch holds seven college degrees including a Doctorate in Educational Leadership and four Masters Degrees. He is currently Emeritus Vice President of Northwest Florida State College where he has served for the past 40 years. Dr. Goetsch is thoroughly involved in the community and always ready and willing to serve his community and his country. He currently serves as Life Director of the Niceville Valparaiso Chamber of Commerce Board and has previously served as the Chairman of the Board in 1989, when the organization’s membership doubled, and again in 2007. He has held various Board and leadership positions with the Fort Walton Beach, Crestview and Walton Chambers of Commerce and Foundations. He was also instrumental in the formation of leadership programs at five area Chambers. Dr. Goetsch has a passion for economic development of the local area, currently serving as Vice Chairman of the Florida Defense Task Force, an appointed position by Governor Scott. 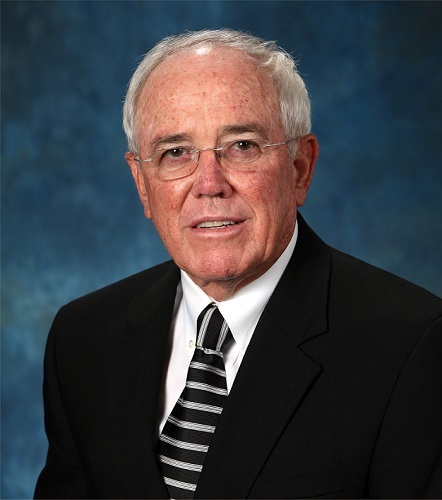 He is co-founder, past Chairman of the Board, and Life Board member of the Economic Development Council of Okaloosa County and a founding board member of the Walton County Economic Development Alliance, past president and board member. He is an accomplished author of more than 70 books on various topics including leadership, management, quality, supervision, organizational excellence, occupational safety, project management, and economic development. Several of his books are bestsellers in the collegiate market and have been translated into foreign languages. Mr. William John Nathey, nominated by Elisa Mitchiner, Nathey was born June 22, 1846 at the head of Boggy Bayou just one year after Florida became a state. He worked with his father to make Niceville a livable community by building a gristmill used by families from miles away. His family also owned and operated a cedar shingle business and transported their goods to Pensacola by schooners - the primary mode of transportation at that time. Nathey and his wife, the former Mary Jane Bolton had 5 sons and 2 daughters and were among the first 30 charter members who established the Methodist Church now known as Crosspoint. He also donated land to allow roads and bridges to be built in order to promote commerce. After his death in 1917 his widow continued to donate property to further develop roads and in 1924, his son donated seven acres of his inherited land for a new Niceville High School – the first in south Okaloosa County and the only school for the military families at Eglin Field. Today it is Edge Elementary. Portions of his old homestead are now Turkey Creek Walk – enjoyed by thousands each year. In 2007 the Honorable Jeff Miller read and extension of remarks into the Congressional Record honoring the life and legacy of William John Nathey. 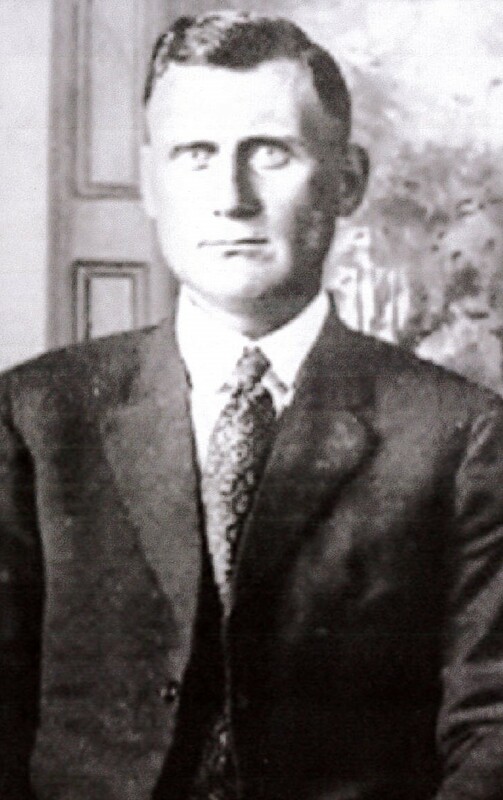 James Ellsworth Plew, nominated by Steve Ruckel, born in 1862 in Brown County, Illinois, and moved to Valparaiso as one of the pioneer developers in Northwest Florida in 1922. Here he founded the Bank of Valparaiso, and constructed the Valparaiso Inn and organized the building of the Chicago Country Club/Golf Course in Valparaiso. During the depression, Plew sought a military presence to boost the economy so he leased the Valparaiso Airport from the City of Valparaiso and offered the U.S. Government nearly 1500 acres of land. Today that land is known as Eglin Air Force Base. A plaque mounted at the East Gate of Eglin Field was installed commemorating his patriotism and generosity that made Eglin Field possible. The current Destin Fort Walton Beach Airport is also dedicated to him for his efforts in making our area a driving force in the Northwest Florida economy. Plew passed away in 1938 leaving his wife Nettie Ramond Plew, daughters Mrs. Mildred Meigs & Mrs. Marion Ruckel as well as two grandchildren, Ramonde & Walter Ruckel. Ramonde “Rae” Ruckel Byrne Williams, nominated by Steve Ruckel, born in Evanston, Illinois in 1921, Williams moved to Valparaiso at the age of 11 months growing up on the bayous and forests of the area, and dancing on the “empty road” that is Highway 98 with other local teenagers. She attended and received a degree from Duke University and there her obtained a pilot’s license. 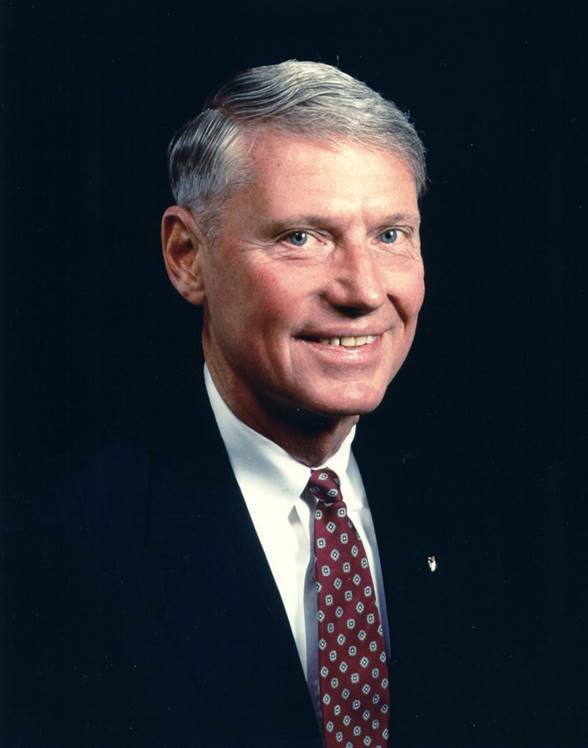 In 1957 Williams became President of Valparaiso Realty Company and served as Chairman of the Board until passing in 2011. She founded the First Judicial District Guardian Ad Litem Program. She also served as President of the Niceville Valparaiso Chamber from 1957 – 1959 and served on the Chamber board many years advocating for small business and overall development of our community. Williams was awarded one of the first two Life Directors of the Chamber. She is the first of three generations of women to serve as lead volunteer of our Chamber with her daughter Judy Byrne Riley serving in 1993 and granddaughter Marion Riley Taylor serving in 2006. Williams was involved in politics throughout her adult life volunteering in the National Democratic Party headquarters and as a Legislative Aid in Tallahassee and served as a State Committeewoman for years. She served as a Girl Scout leader in the 1980’s teaching sailing and canoeing for years actually obtaining her Bus Drivers Permit to take her troop to see the King Tut exhibit in New Orleans. Williams was also inducted into the Okaloosa Women’s Hall of Fame Inductee in 1998 for her accomplishments. C. Walter “Walt” Ruckel, Jr.
C. Walter “Walt” Ruckel, Jr., nominated by Steve Ruckel, born in 1927 in Pensacola, Ruckel served in the U.S. Army Air Force as an airplane mechanic from 1945-47. As an avid supporter of local aviation he helped to create the Ruckel Airport and he was an accomplished pilot and flight instructor. Ruckel started as a bookkeeper and teller at his grandfather’s bank, Valparaiso State Bank, and later became President in 1951 upon his father’s death. He served as Chairman of the Board until 2004. Ruckel was a Charter member of the Rocky Bayou Country Club and instrumental in forming the club. As Chairman of the Air Force Armament Museum Foundation and Chairman of the fund drive they were able to raise over a million dollars to build the current museum. He was a Charter Member of the Niceville Valparaiso Rotary Club which formed in 1948 and served as their president. 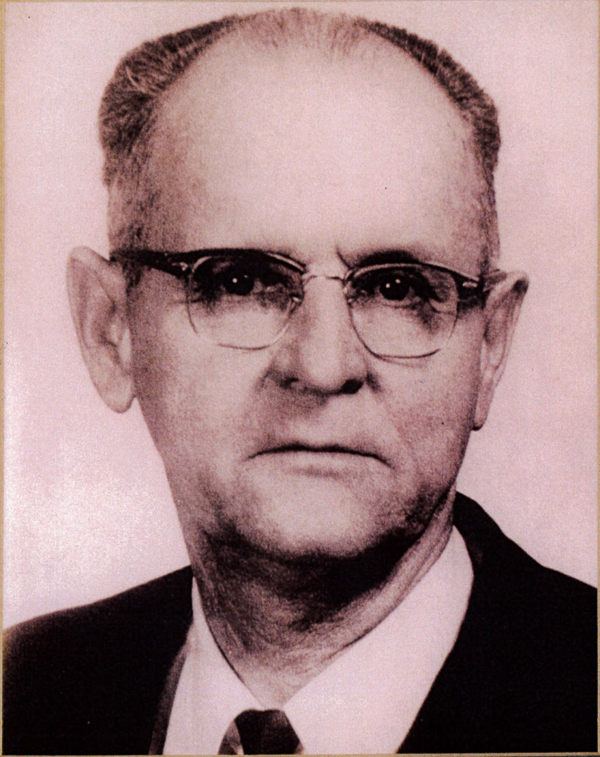 Ruckel was elected “Man of the Year” in 1957 and 1970. Ruckel was also instrumental in development and continuing success of Rocky Bayou Christian School. He worked to develop local family real estate into homes and businesses throughout the area through his family business, Ruckel Properties, formed in 1955. 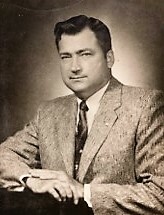 Ruckel served as President of the Niceville Valparaiso Chamber from 1957 – 1959 and served several terms on the Board of Directors. Later he would become one of the first two Life Directors of the Chamber. Plenn Howell Phelps, Sr., nominated by his children, Stephanie Phelps, Plenn Howell Phelps, Jr. and Kim Wonsick, born in 1931 to Leonard and Mattie Howell Phelps – two of the 333 original residents to signed the charter which established Niceville in 1937. Phelps was a true “Boggy Boy” who enjoyed swimming in Turkey Creek, hunting on the reservation and fishing in the local bays and bayous. Phelps graduated from Niceville High School in 1950 and was the first in his family to go to college. There he met his wife with whom he celebrated 50 years of marriage with before his death in 2004. Phelps spent 2 years in the Army before returning to Niceville to help with the family business, Phelps Department Store. He then taught at Choctawhatchee High School making positive differences in young lives. After teaching he was self-employed as a local entrepreneur for over 40 years as a merchant, general contractor and land developer owning and operating many businesses expanding commerce in the Niceville area. Phelps was the general contractor with a vision for Rocky Bayou Country Club house and one of the clubs Charter Members. Together with Walt Ruckel, General AJ Kinney and Robert McKelvey they were the first foursome to play the course. Phelps partnered with Walt Ruckel and A.L. Johnson to build Niceville’s first true shopping center, Palm Plaza which included a bank, drug store, grocery store and restaurant. He felt that every town needed a movie theater and fitness center and ran those two businesses himself after the original proprietors backed out. Honoring his heritage, Phelps partnered with his brother in 1977 and built an 80 ton steel hull shrimp boat-the first of its kind in the area. Even when the FCC made an FM radio license for NW Florida, Phelps partnered with Gary Lee of Fort Walton Beach to obtain the license with WNCV – LUV 100.3 which aired in 1992. Phelps was a major proponent for the then Okaloosa Walton Junior College to locate their main campus in Niceville. He stood behind this in the face of adversity. Mayor Randall Wise later sent a letter to Phelps stating “I would like to express to you both personally and on behalf of the city officials and our community, sincere appreciation for your untiring efforts and work in securing Niceville as the permanent location for the Jr. College. I realize these things do not just happen, that your energy and ability supplied the drive to make this happen.” No stranger to controversy, Phelps and 17 other NHS Boosters were honored for supporting the build and design of the NHS stadium. The design was controversial, but the boosters felt strongly about giving Niceville a college stadium feel and experience which is still used and enjoy today. Phelps and his wife Norma made many lasting contributions to many local community organizations and causes including Little League, Band, NHS Athletics and even funded a room at the Children’s Advocacy Center. Lannie Corbin, nominated by Allen Tucker, was born in 1942 in Crestview to Noah and Pauline Corbin of Niceville. Corbin has always been a visionary leader who strives to make positive growth and quality service a reality for our area. Appointed as City Manager/City Clerk in 1972, Corbin is one of the longest serving City Managers in the State, celebrating nearly 45 years of service this summer. When he started the population of Niceville was 4,300 and with only 33 city employees. Today there are over 14,000 residents and nearly 200 employees. Corbin was instrumental in organizing the first Mullet Festival, which originally was a Chamber of Commerce event, and he continues to lead todays Mullet Festival committee. He also created the Twin Oaks Complex for local soccer, baseball, football and a dog park. In addition he provided oversight for the first storm water utility project to provide necessary infrastructure to protect the bays, bayous and creeks. Corbin has worked with Military Leaders on many joint projects including the lease for the Twin Oaks/Mullet Festival land and the reclaimed water project. He is dedicated to protecting the delicate natural areas of the area with projects for public use such as Turkey Creek Walk which now boasts a one mile contiguous walkway from College Blvd. to John Sims Pkwy. His works also includes quality of life projects for all ages including the building of the Children’s Park/Spray Park, mixed use sports facilities, youth center, and the new senior center currently under construction. Corbin was instrumental in forming the Okaloosa County Library Cooperative offering public library services to all citizens. He has also taken an instrumental role ensure the Fourth of July Fireworks over the Bayou tradition continues by establishing the Fireworks Foundation. Francis Walter Spence, nominated by Kim Wintner, Col USAF (Ret. ), born in 1926 in Niceville and graduated from NHS in 1944. He served in the Navy during WWII then studied at Tulane, University and MIT. In 1950, as a civilian engineer at Eglin AFB, he headed up the Physical Science and Target Development branches of the Armament Center where he received many commendations for services outside his normal duties including cookouts for troops and a study of the effects of DDT on fish populations. Spence left the area for ten years from 1963-73 and returned to open Spence Brothers Properties, assisted with existing companies owned by his family. He continued consulting work with government contractors over the years and was recognized by Honewell for proving mentorship and vision resulting in over one billion dollars in Air Force business. Spence served as President of the Niceville Valparaiso Chamber 1975-1976, during which time he came up with the concept of the Boggy Bayou Mullet Festival as a means to attract business to town. He continued to be involved with the festival over the years, using it to foster the relationship between the local community and Eglin AFB. As a humanitarian, he personally sponsored over 75 families who were Vietnamese Refugees housed at local temporary “tent cities” as they were integrated into our nation and community. 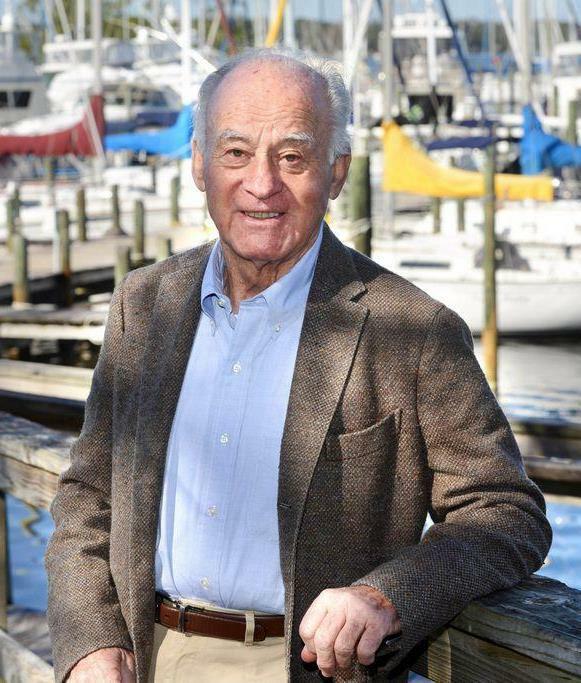 Spence had the original vision to build a bridge from Niceville to Destin in order to expand and diversify the local economy and was the driving force for the Chamber to endorse the “White Point Bridge” beginning in 1968. He never wavered from pursuing this project and the Mid-Bay Bridge finally opened in 1993 with over 10,000 people participating in a race after the Mayors and Chamber Presidents met in the middle to exchange gifts as the two cities were finally connected. Mayor Randall Wise, nominated by Sheila Bates, born in Niceville in 1930 Mayor Wise graduated from NHS in 1949. An original Boggy Boy, he enjoying hunting, fishing and swimming in our beautiful local waters. His first start in City government was in the 1950’s when he served one term on the City Council and was one of the first captains with the Niceville Fire Department. He worked with a military contractor for years while also being an entrepreneur. Mayor Wise served as president of the Florida League of Cities in 1979 and continues to be a member today. He is the Past President of the Panhandle League of Cities and the Okaloosa County League of Cities. He currently serves on the Board of Directors of the Okaloosa Gas District, and has served as Honorary Commander at Eglin AFB, Hurlburt Field and Duke Field. Even the Media Center at Ruckel Middle School is named in his honor. 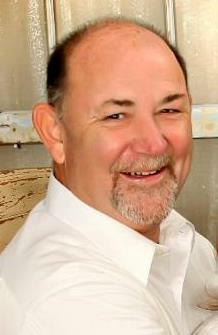 Mayor Wise is a longtime member of First Baptist Church of Niceville. Throughout the years he has supported local businesses, attending ribbon cuttings and other community celebrations. He currently serves as a Life Director of the Niceville Valparaiso Chamber of Commerce and is very active in the organization.